When you’re choosing a credit card, make sure you pay attention to the rewards and perks, as well as the annual fee and interest rate on the credit card. These important features influence the overall benefit and cost of having a credit card. Read on for our expert-chosen list of the best Citi credit cards based on a variety of needs, and weigh the perks against the costs to decide which would be best for your wallet. 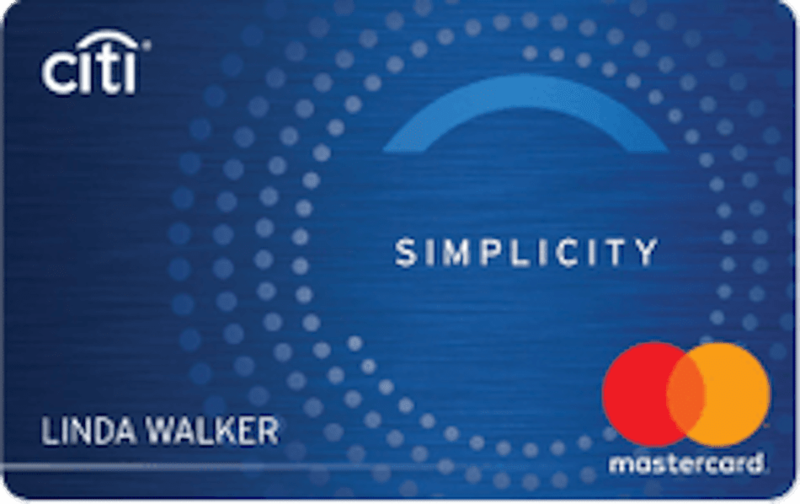 What We Like: Citi Simplicity offers one of the longest promotional interest rates of any credit card on the market. Enjoy 0% interest on balance transfers for 21 months from the date of the transfer as long as you complete the transfer within the first four months of opening your account. On top of the balance transfer rate, enjoy 0% interest on purchases for 12 months from the date you open your account. The Citi Simplicity comes with a few other perks, like the ability to choose your own payment due date, automatic account alerts, and the ability to use your card with Apple Pay. What We Don't Like: The transfer fee is almost double the average balance transfer charge on other run-of-the-mill cards. Also, the Regular APR is on the higher side. People with excellent credit are often charged 14.41% with an average credit card, making this card's APR significantly high. Another drawback is the lack of a late-payment fee. While it sounds good on paper, a lack of fee means a lack of incentive to pay on time, which can ultimately hurt your credit score. Intro APR: 0% introductory APR on purchases for 12 months from date of account opening. 0% introductory APR on balance transfers for 21 months. Cash Advance Fee: Either $10 or 5% of the amount of each cash advance, whichever is greater. View details about this card. What We Like: The Citi Premier credit card pays 50,000 bonus points after you spend $4,000 on purchases in the first three months of opening your account. Ongoing, you’ll earn three ThankYou Points for every dollar spent on travel including gas stations; two ThankYou Points for every dollar spent on dining out and entertainment; and one ThankYou Point on all other purchases. There’s no limit to the points you can earn and your points won’t expire. What We Don't Like: There is a hefty annual fee: about 5.5 times higher than the average credit card’s yearly membership charge. Also, this card doesn’t offer 0% intro rates and charges a 3% (min $5) balance-transfer fee. Furthermore, its high regular APR means you’ll be overpaying on interest if you carry a balance from month to month. What We Like: The Citi Diamond Preferred card offers a 0% introductory APR for 18 months on purchases and balance transfers. While many credit cards require you to transfer the balance within the first 60 days to qualify for the promotional rate, the Citi Diamond Preferred gives you four months from account opening to make a qualifying balance transfer. As a Citi cardholder, you’ll also have access to Citi Private Pass, a benefit that gives you access to presale tickets and VIP packages to concerts and other ticketed events. What We Don't Like: The biggest drawback of the Citi Diamond Preferred is that its rewards program is underwhelming. Points can’t be used for cashback, and you might not find the available deals very intriguing. What We Like: The Citi Double Cash gives you two opportunities to earn up to 2% cash rewards on your credit card. First, you’ll earn 1% on all eligible purchases as you make them. Then, you’ll earn 1% as you repay your balance, whether you pay in full each month or you make payments over a period of time. What We Don't Like: A large selection of other cards with 0% APR also don’t have a foreign transaction fee, where this card does. This card is less than ideal for those who like to travel internationally. What We Like: The Citi / AAdvantage Executive World Elite Mastercard offers a wealth of rewards, and on top of that you’ll get Admirals Club membership with access to more than 50 lounge locations worldwide. Plus you’ll receive 25% saving on American Airlines inflight purchases when you use your credit card. What We Don't Like: The jaw-dropping annual fee is 26 times higher than the average annual fee. There is also an above-average ongoing APR with no introductory bonus. Sign-up Bonus: 50,000-mile initial bonus, but you have to spend at least $5,000 within three months of account opening to qualify. What We Like: If you need to establish or rebuild your credit history, the Citi Secured Mastercard is a great option. Also, the lack of annual fee makes this a great card for someone looking for a starter card. What We Don't Like: With a higher-than-average APR, you are discouraged from carrying a balance from month to month. Also, the foreign transaction fee makes this card less than ideal for someone who'd like to spend time traveling abroad. What We Like: You can use the Costco Anywhere Visa Card by Citi at Costco and anywhere Visa is accepted to earn rewards on all your purchases. The Costco Anywhere Visa pays 4% cash back on the first $7,000 in eligible gas purchases worldwide each year. Your cash back rewards accumulate throughout the year and are paid out as an annual reward certificate after your February billing statement closes. You can redeem your rewards at Costco for cash or merchandise. What We Don't Like: Where other cards allow you to redeem your points regularly, this card only allows a redemption once a year, via certificate, which has an expiration date. Additionally, if you choose to cancel your Costco subscription before claiming your points, they will no longer be available. What We Like: With the CitiBusiness / AAdvantage Platinum Select World Mastercard, you’ll earn 70,000 bonus miles to new cardholders who spend at least $4,000 in the first four months after opening an account. You'll have access to early boarding and free checked bags on American Airlines, and you can earn 2 miles per $1 spent on American Airlines airfare, telecommunications services, car rentals and gas stations with this American Airlines business credit card. There’s no limit on the awards you can earn and rewards don’t expire as long as you earn or use rewards at least once every 18 months. What We Don't Like: The CitiBusiness AAdvantage Card does not offer intro rates, and most business credit cards are bad for financing, considering that Citi can increase the interest rate on a balance at any time. Sign-up Bonus: Up to 70,000 bonus miles to new cardholders. Spend at least $4,000 in the first four months after opening an account. Our experts explored the Citi cards that offered the best rewards for any scenario. From those with bad credit looking for their first card, to elite travelers who fly internationally once a month, this list has something for everyone.